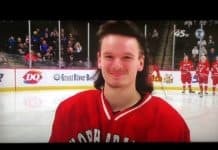 The NCAA Men’s Basketball Championship Game has “One Shining Moment,” and the Minnesota State High School Tournament has the “All Hockey Hair Team 2016.” The mysterious creator of what has now become a popular classic, introduced his first All Hockey Hair Team in 2011. Since then, fans of sport and humor have eagerly awaited the annual production. 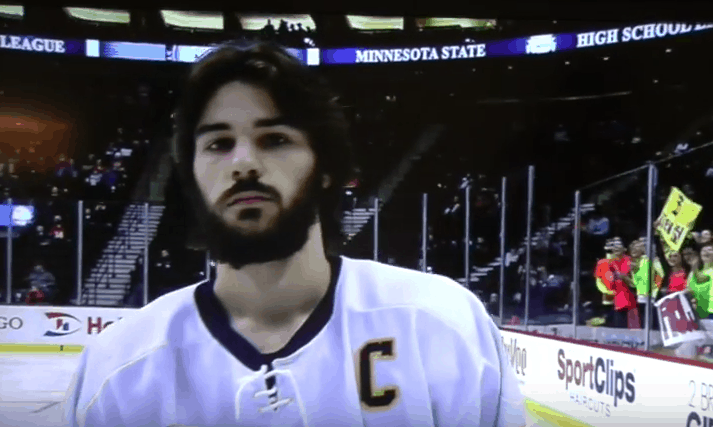 The Minnesota High School Hockey Tournament is a big deal in the State of Hockey with quarterfinal games through the championship games being played at the Excel Center and televised across the state. For the quarterfinal games, all the players are introduced, usually without their helmets on. This becomes the source material for the All Hockey Hair Team. “Hockey Hair” has been a phenomenon for a long time, and the All Hockey Hair Team’s droll announcer highlights (we’re not above puns here) some of the best and oddest hair-do’s on the ice. Using terms like flow, salads, mullets, flops and mops, we’re entertained with a running commentary as an all-star collection of players are introduced. And, an all-hair coach or two usually makes the production as well. 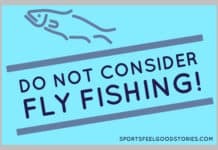 Click on link below to see all the hockey certificates. 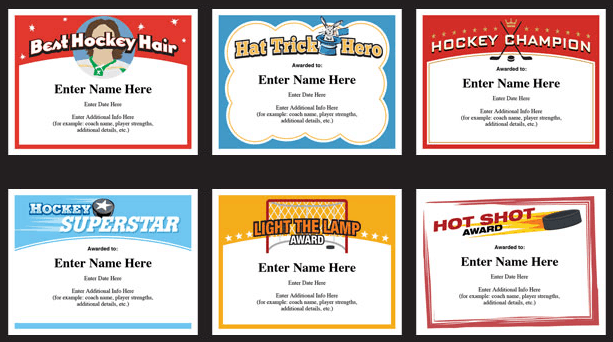 Click on Hockey Certificates to review all of these.